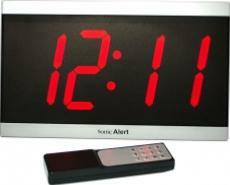 The Viso-10 is ideal for the office or home use, the clock is radio controlled for simple automatic setup and accuracy. 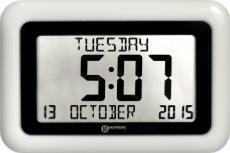 Displays time, day, date, month and year. The clock is simple to setup with its full function remote control and it can be set to display time, date and internal room temperature.